The committee that recommends people for knighthoods received allegations of child sexual abuse against Jimmy Savile in 1998, an inquiry has heard. The head of the Honours Committee also resisted pressure from Margaret Thatcher in the 1980s to knight Savile, according to letters seen by the probe. Savile sexually abused at least 72 people, including eight who were raped. The Independent Inquiry into Child Sexual Abuse is investigating both institutions and public figures. Savile, who died in 2011, was ultimately knighted in 1990 in recognition of his charity work. The Westminster strand of the inquiry heard civil servants were wary of Savile as early as 1984. In letters exchanged with then prime minister Mrs Thatcher's secretary, committee head Lord Robert Armstrong cited interviews with Savile published in the Sun the previous year in which the BBC DJ boasted about sleeping with hundreds of girls, having people assaulted, and telling a suicidal man how he could take his own life. "My committee did not feel that sufficient time has elapsed since Mr Savile's unfortunate revelations in the popular press in April of this year," Lord Armstrong wrote. "He is much in the public eye and it is unlikely that the lurid details of his story will have been forgotten. 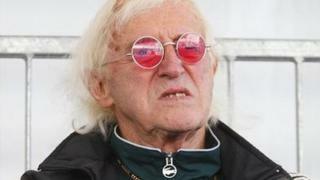 I fear it would be best if Mr Savile were to wait a little longer." He later refused to include him in the birthday honours list, saying time had "served only to strengthen the doubts felt about a knighthood for Mr Savile". He had been advised awarding a knighthood to Savile would bring the honours system into "disrepute", he wrote. In 1998, the committee received an anonymous letter that said "reports of a paedophilia nature" could emerge about Savile and allegations about his involvement with boys. It said: "While within limits and bounds homosexuality can be rationalised in a modern society, we must not lose sight that paedophilia goes beyond any boundaries which right-minded people of whatever political persuasions find abhorrent." Giving evidence to the inquiry, senior civil servant Helen MacNamara - who currently heads the Honours and Appointments Secretariat - said such a letter would now be passed to police immediately. She added that she did not know how the letter was dealt with at the time or if any concerns were raised with authorities. The Independent Inquiry into Child Sexual Abuse in England and Wales is investigating claims against local authorities, religious organisations, the armed forces, and public and private institutions - as well as people in the public eye.